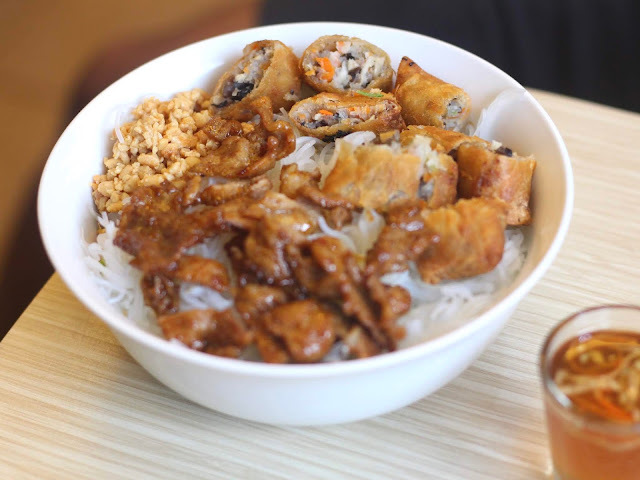 I have been targeting to try Ca Phe Saigon as my next stop for a hankering for Vietnamese dishes. 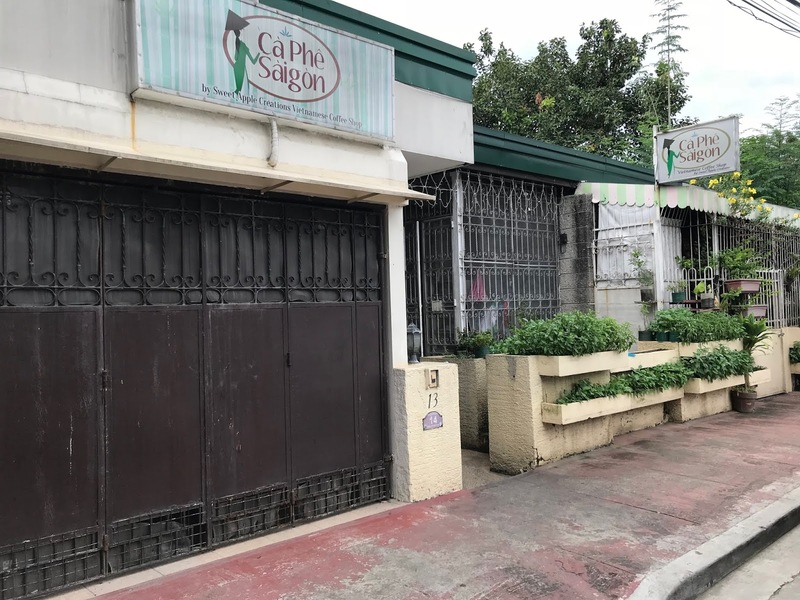 It's gotten a lot of good reviews, it's affordable, and it's not the restaurant you find in every mall - checks all the criteria for a place that deserves to be discovered. Ca Phe Saigon is a small Vietnamese cafe located in Marikina. It looks simple, especially since it is technically a garage turned into a cafe, but it was really comfortable. 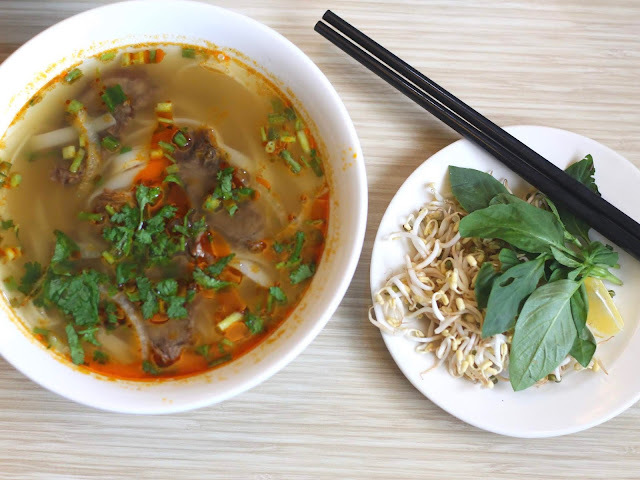 The dish I craved the most for was pho, which made me order the pho bo kho which is a beef noodle soup with side of sprouts and basil leaves. I honestly don't know if the sprouts and basil leaves on the side make any pho better, but I didn't need it on this one as it was already delicious the way it is! It had an light and herby taste, something I attribute to the generous amounts of cilantro. Another Vietnamese dish I just got to try this year was the bun thit cha gio (special dry noodles combination), which is a bowl of vermicelli noodles topped with fried spring rolls, chopped nuts, and your choice of meat (chicken/ pork/ beef/ shrimp/ shrimp with vegetarian fried rolls), then served with a dressing made with fish sauce. I know this sounds disgusting (especially the thought of having fish sauce as a dressing), but it really wasn't. Everything just went well in this dish. 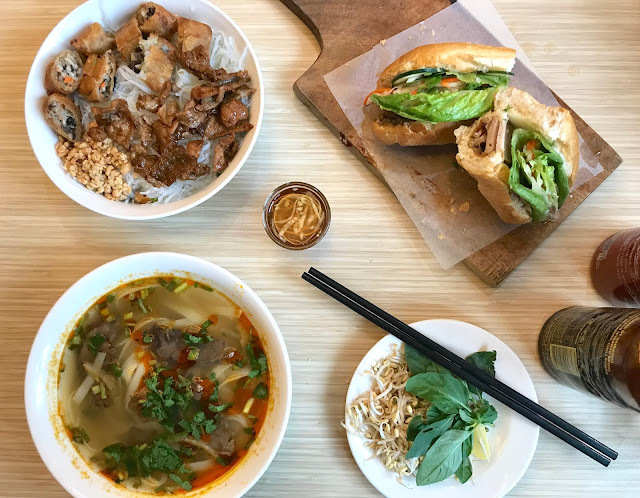 We are no stranger to the popular Vietnamese sandwich - the banh mi, which we also ordered. For those who are not familiar, it's a 6-inch long, baguette with fresh lettuce, cucumber, special vietnamese pickles, liver pate, Vietnamese sauce, Vietnamese ham, and your choice of roasted pork, chicken, beef. We had the roasted pork and it didn't disappoint. I've always loved the nice crunch a banh mi makes with every bite, which Ca Phe Saigon made sure they got right. 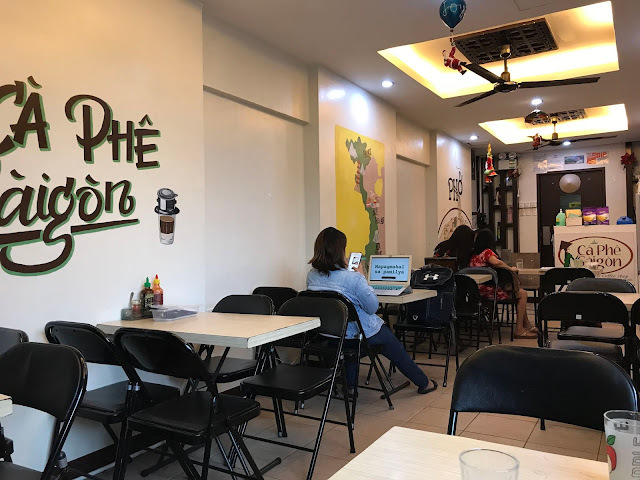 While I admit I'm not entirely familiar with what authentic Vietnamese cuisine tastes like, Ca Phe Saigon's version, which I believe to be the real deal, brought out an appreciation for dishes I used to ignore. That, plus the fact that all of this satisfaction cost us very little, is the reason why I LOVE this cafe SO MUCH.